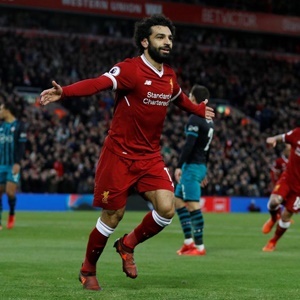 London - Liverpool manager Jurgen Klopp is relaxed about Mohamed Salah's goalscoring drought, saying the Egyptian forward remains a key part of the title chasers' attacking armoury. "When everybody is talking about 'he didn't score in I don't know how many games', he doesn't seem to be bothered about it. I'm not," Klopp said on Wednesday. "For sure we didn't really speak about it. I think if something is clear and obvious you do speak about it. How do you deal with a situation when he scored 40 goals last year? "His career's not over. It's like if he can score this year 20 goals then he's scored 60 in the last two. Wow, that's not too bad." Salah's success last season means he has attracted more attention from opponents in the current campaign, often being double-marked. "Sometimes you need a bit of time to adapt to the new situations and I don't think he really needed that," said Klopp on Salah's overall value to the side and how he has coped with the close attention. "He's a threat. He helps us a lot. He deals with all the new situations for him really well. "If you have only one (goalscorer), you think maybe you rely a bit too much on that. This year we don't rely on Mo's goals, but he's still in a very good position in comparison to all the other players. "Seventeen (league) goals is a good number, and there are still a lot of games to come. But it was never a problem. We have 79 points -- you cannot have that with a lot of problems over the year."